Which of this summer’s blockbusters will be worth watching? We’re in the thick of the 2014 blockbuster season, with Godzilla, Captain America: The Winter Soldier and Maleficent already arriving on our cinema screens in a hail of stomps, explosions and Angelina Jolie’s razor-sharp cheekbones. The Transformers: Age of Extinction is pleasingly familiar: there are big robots, lots of explosions and it’s loud enough to deafen you for the rest of the year. You might have noticed that Shia LeBeouf is nowhere to be seen though. He’s been replaced by Mark Wahlberg, although they probably could have replaced him with a bag of potatoes and a fake moustache because literally no-one watches these movies for the human drama element. At the very worst, Age of Extinction will be a good laugh. Just leave your brain at home. Blockbuster rating: 5 blocks busted out of 5. 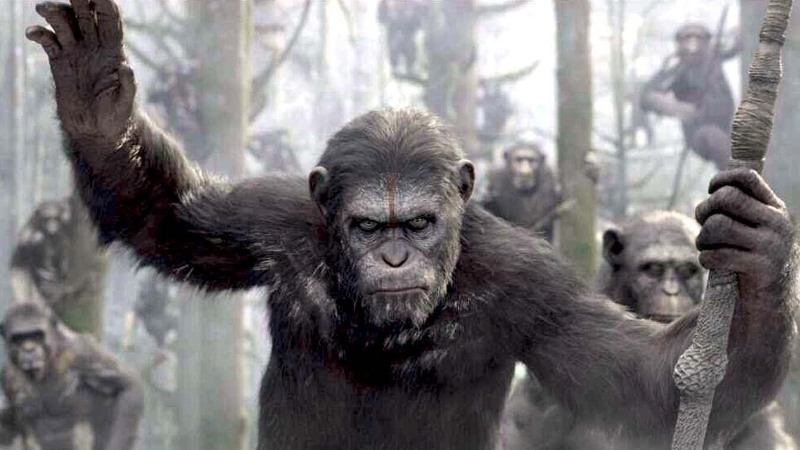 Rise of the Planet of the Apes surprised everyone by not being rubbish, and Dawn… is aiming to match that lofty goal. Dawn… takes place 10 years after the original, with most of the human race wiped out by a nasty virus. The survivors, including Gary Oldman, are being attacked by an army of talking apes. Who’d be alive in the future, eh? Although we already know what happens at the end, the sheer amount of action should make up for it. Seriously, there are more fighting monkeys than at a questionable circus. Sadly, it’s not a hearty roast dinner but another version of Hercules. Dwayne Johnson (as he likes to be called now) dons a silly wig and lays the smackdown on some mythological baddies, although it’s not yet confirmed whether or not he’s going to drop the ol’ Rock Bottom/People’s Elbow combo on Hades. Hopefully. To be honest, it all looks a bit Clash of the Titans, but don’t let put you off too much. Marvel’s latest blockbuster looks a bit strange. It’s about a bunch of superheroes (including a wisecracking racoon with a machine gun and a big tree) fighting baddies in various locations across the galaxy, and makes Avengers Assemble’s strange plot sound like an episode of Coronation Street in comparison. Still, with an all-star cast including Bradley Cooper, John C Reilly and Glenn Close, and Marvel’s astonishing run of ridiculously popular movies, this is bound to be a massive hit. In the latest edition of The Expendables¸ Sly Stallone rounds up his merry band of geriatric action heroes for a day trip to Bognor Regis, where they all play a nice game of bridge. Just kidding. They actually grab a load of guns and explosives so they go and teach some young troublemakers a lesson. All of the Expendables we know and love are back, including Arnie, Jet Li, Dolph Lundgren and Terry Crews. More excitingly, though, Sly has also managed to get Wesley Snipes, Antonio Banderas and Harrison Ford on board. It’s been nearly 10 years since the last Sin City film, and the world has moved on from violent movies based on comic bo – oh no, wait, it hasn’t at all. For the most part, A Dame to Kill For follows the same girls, guns and violence formula as the first, with the same stylish comic book look. It’s in 3D too! It’s not your traditional blockbuster, to say the least, but it does have big box office stars like Bruce Willis, Mickey Rourke and Joseph Gordon-Levitt and the name alone will sell a few tickets. Blockbuster rating: 3 blocks busted out of 5. What movies are you looking forward to this summer? Let us know on Facebook, Twitter or in the comments below. And don’t forget you can sell all of your unwanted DVDs for cash with musicMagpie!